If incompetent persons install your boiler system, they are likely to get it wrong. If the system’s components are not compliant with codes and regulations, your system is likely to present hitches even before the installers leave your home. 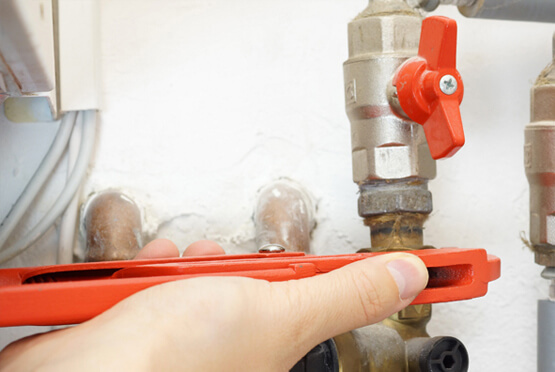 Gas and boiler leaks are some of the problems you will have to contend with. If your boiler is losing pressure, leaking water and the radiators are emitting carbon monoxide, you, your family and property could be in trouble. If you notice such problems, Eco Efficient Nottingham is the best service company to call. We have a team of gas safe registered experts who have been handling gas and boiler leaks in areas all areas around Nottingham. We are the most sought-after company in Bingham, Hucknall, West Bridgford, Beeston and Carlton. We protect you from harmful boiler gas emissions, and we carry out repairs to avert looming disasters. We don’t guess the source of your leaks, but we rely on modern detection technology and a comprehensive system check-up. Our engineers are ready to provide quick remedy any time you suspect your boiler or gas system is leaking. Leaking boilers can cause water damage and lead to pressure fluctuations in your system. This will compromise the efficiency and performance of your modern boiler system. You don’t have the skill and tools to do DIY repairs, and we will tell you why you shouldn’t attempt it if our professionals are not on site. We come to your premises the same day, and we fix boiler leaks regardless of the magnitude. We can identify any problem including faulty valves, broken seal and worn out pumps or corroded pipes. We have over 15 years of experience, and we know where to source our replacement parts. We never fix gas and boiler leaks using cheap parts since we want you to enjoy comfort and safety for longer. Whenever you suspect your boiler or gas system is leaking, call us and enjoy expert guidance. Whether it’s a combi system or a conventional one, we can fix these leaks and ensure that they don’t compromise your energy efficiency levels. You can call our 24-7 customer service team and get answers about possible boiler or gas system leaks. We won’t email you the answers, but we dispatch our mobile service vans to offer on-site solutions within 30 minutes. We respond promptly and fix leaks in the shortest time possible. At Eco Efficient Nottingham, we act fast to ensure you don’t get harmed by carbon monoxide. Equally, we make sure that our pricing for gas and boiler leak repairs doesn’t hurt your back pocket. We will discuss with you our rates and offer a fixed no-obligation quote. We want you to call the shots when it comes to spending. Our gas and boiler leaks experts don’t push for unnecessary repairs, and they won’t add hidden charges on your bill. We value our customers, and we are ready to find alternatives that fit your budget. Call us today and enjoy lasting warranties for all gas and boiler leak services.